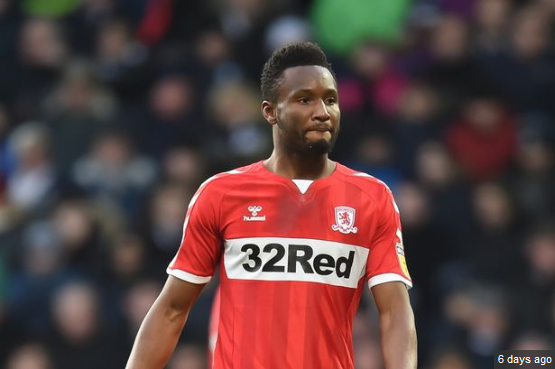 Nigeria international John Mikel Obi and his Middlesbrough teammates will be thanking their stars that their flight back to base after their FA Cup match against Newport on Tuesday night had to be called off. The squad and backroom staff were due to fly back to Teesside but engine failure in their aircraft stopped them leaving the ground. They had to call back the club coach which was already heading North. They eventually got back to Rockliffe at 7am on Wednesday. Before arriving Newport for the match, the club’s flight was delayed for two hours due to bad weather. The players were however given Wednesday off to recover and gather their thoughts ahead of their league match against Leeds United in the English Championship. Club manager, Tony Pulis now wants his players to put the Newport debacle behind them and build on the hugely impressive 3-2 victory at West Brom last time out in the Championship. Mikel who was not listed for the FA Cup tie against Newport which they lost is expected back in Boro’s starting line-up against Leeds on Saturday, in a potentially explosive game that could have a big bearing on their promotion.